Hey, quarantined blonde intern has recovered enough to carry patients around! Trapping a kid in a fire is what Grey’s does best. Yes, starting that fire probably wasn’t the greatest escape choice by Stephanie, but who knows what we would all do when faced with such a crisis? That entire portion of the episode was absolutely gripping. When Stephanie and Erin broke out of that room and saw all the flames underneath them on the stairs, my heart actually sank. Jerrika Hinton completely sold everything she had to deal with, and her absence will definitely be felt. And Darby Camp is the best actor on this show. 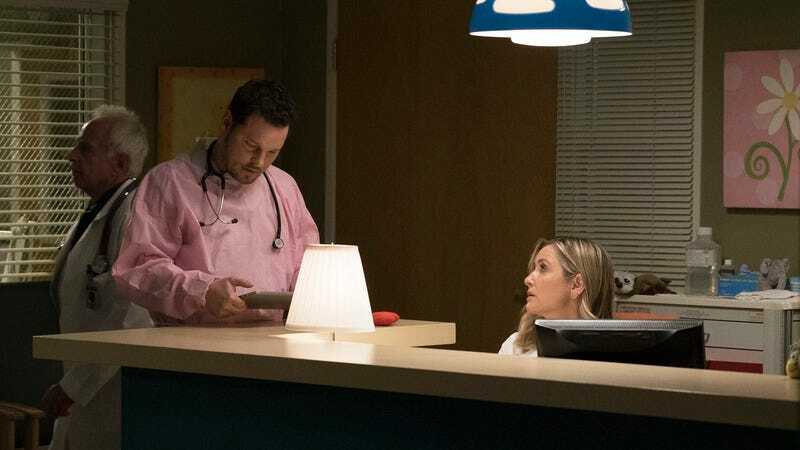 What was also excellent was how much the crisis showed what a team the Grey Sloan group is: Ben and Avery looking to find Stephanie, Webber and Bailey sticking up for her, Bailey finally sticking up for Webber. And Alex just did his usual drop-in. I’m not sure if the scene ABC put up for promo photos even made it into the episode? Say it with me everyone: Shut up, Maggie! And she and Avery are such a terrible idea, as well as being brother and sister. It was very gratifying to see Minnick get fired, especially since she was never anything but terrible the entire time she was in that hospital. What kind of doctor can’t deal with any kind of trauma? It just now dawned on me that this whole thing is a setup for Shonda Rhimes’ new Grey’s firefighter spinoff. Meredith was pretty nice about her boyfriend’s girlfriend coming back to life. But there’s been so much invested there that I bet this turns into quite a love triangle next season. 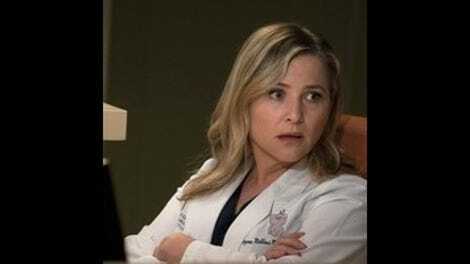 Believe it: A Grey’s season finale where nobody died (well, one person did, but he was the bad guy anyway). And that’s a wrap for Grey’s season 13, everyone! Thanks for reading and all your comments, which were always fun to read. Since you guys were so enthusiastic about continuing these posts last week, I probably will be back for season 14. But I really hope that’s the last one.